Nothing brings the holiday feeling to life more than a stunning visual display. 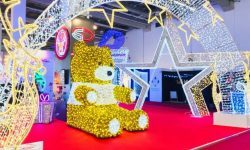 Whether you’re looking for a spectacular giant Christmas tree or a simple, but fun pole mounted christmas decoration, Christmas Designers offers a vast array of quality visual commercial displays to fit any budget. Perhaps you want to make a grand impression on motorists coming into your city, shopping center, or neighborhood. Dazzle them with one of our Skyline displays. 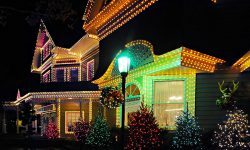 Animated Christmas decorations can be a simple solution to create an eye catching outdoor Christmas spectacle. Due to the easy installation and compact storage, these ourdoor Christmas decorations are a favorite for many parks and cities. Make an even bigger statement with your visual visual displays by going with our Earth Friendly lighting option utilizing the latest technology in LED lighting. Create the exact theme you’re looking for with our large inventory of pole mounted ourdoor decorations. Trouble free to install and maintain, these decorations are an excellent choice for shopping center parking lots or city streets. All mounting brackets are low profile and can easily be left up on the poles during the off season. 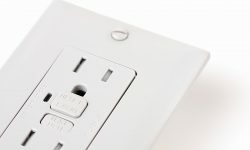 This allows for a much quicker installation during the following holiday season. Pole decorations are also an excellent choice for anyone who has very limited storage space. Dozens of decorations can fit into a very small storage space. Christmas Designers offers a quality selection of commercial rated Christmas trees for both indoor and outdoor use. While our specialty are large and giant Christmas trees, we do have commercial trees as small as 14 feet. If you’re searching for a Christmas Tree that will truly stop people in their tracks, then look no further than the world renowned Rocky Mountain Pine tree. Capable of being built to heights exceeding 100 feet, these trees are displayed in high profile areas throughout the United States, Europe and South America. 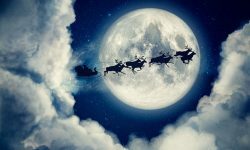 As with all of our products, we offer our earth friendly LED lighting options on all Christmas Trees. Christmas Designers additionally offers many other visual outdoor Christmas decorations including Menorahs, Nativity scenes, building front wreaths, garlands, and a wide collection of banners. In addition to our large stock, extra options are available on many decorations. 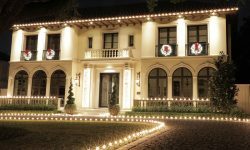 If the lack of power at the desired location is a problem, then you can opt for brightly colored garland, glitter, or reflective solar disks on the decoration rather than standard lights. Or perhaps power is available, but not a sufficient amount for a standard lighted decoration. You can choose to replace the usual incandescent bulbs with our new LED bulbs, dramatically reducing the amount of power required. Not finding exactly what you’re looking for on our web site? Let us design a custom theme tailored specifically to the way you want it. Our design team has created numerous custom decor packages for many prestigious businesses, shopping centers, and municipalities. Visit our custom christmas decoration design page to see some examples.